Last year, UBC saw the implementation of an online archive for old exams, but the website still lacks content. The database is a collaborative effort between the AMS and the Centre for Teaching, Learning and Technology (CTLT). According to AMS Associate VP Academic Daniel Munro, the CTLT handles the technical aspects while the AMS oversees the general strategy and publicity of the project. In its current state, the database is sparsely populated by a handful of exams. Munro attributed the website’s slow development to several issues. Having already spent approximately $80,000 on this resource, the AMS hope to convince professors of the benefits of using the database. According to Munro, the AMS plans to move forward by focusing on more “detailed, one-on-one conversations with professors” as opposed to sending out mass emails. Richard Anstee, a math professor at UBC, echoed AMS concerns. The new database is particularly redundant with regards to the math department, according to Anstee. “Our department uploads a huge number of exams on our website. It has a relatively large array of past exams … as early as 2004, 2005 -- which is very comprehensive. I’m very pleased with what math has done,” said Anstee. The structure of an exam archive has existed for years despite the recent facelift. 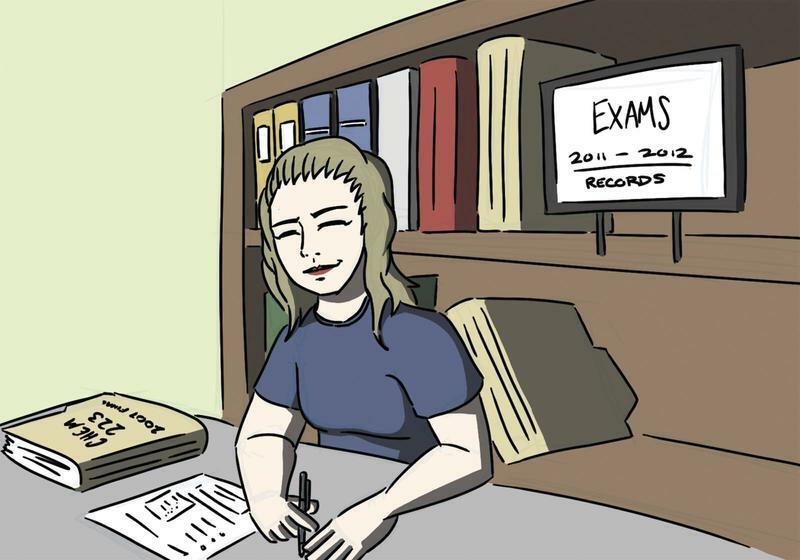 In the paper age, print copies of UBC exams were on file and available to students at Brock Hall. This database was then digitized and moved to UBC Library’s cIRcle repository -- somewhere along the way, the files were lost. Evidently, UBC professors’ lukewarm responses to the database is not simply a product of ignorance and apathy, but mistrust as well. Although student support for the database has been strong, the AMS will need to help faculty see its advantages before real progress is made.